There is a mountain range that should never be climbed. Every time we pray ‘Yours Lord is the Kingdom, the Power and the Glory’ we are reminding ourselves of three mountains we all make regular attempts to climb. 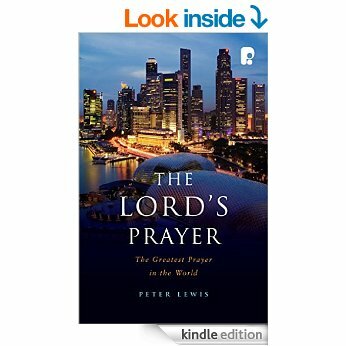 I have just come to the end of a second ‘Beginner’s Course’ – we have gone through the Pilgrim course material on ‘The Lord’s Prayer’ phrase by phrase. Last Friday we finished for the second time on the phrase ‘Yours is the Kingdom, the Power and the Glory’. We rarely pause to ponder this final phrase of the Lord’s prayer. It sounds too much like a ‘yours sincerely’ at the end of a letter we happen to have addressed to ‘Our Father in Heaven’. But if each word ‘Kingdom’, ‘Power’ and ‘Glory’ stands for a mountain and if we realise that most humans spend a great deal of time and energy struggling to stand on the top of all three mountains, then it can come as a real relief when we realise we don’t have to, because these mountains belong to God. This mountain says ‘I am king’ or ‘I am in total control of my own life’ or as it has been said poetically ‘I am the captain of my ship, the master of my fate’ (or words to that effect). Whilst I don’t want to take away from anyone the fact that they are responsible for their own life, how they use it, how they respond to the situations in which they find themselves, no one is ‘in control of their own life’ and we are kidding ourselves if we think we are. So many things lie beyond our control: our genetic inheritance for one, and our chances of still being alive tomorrow for another. When we pray ‘Yours Lord is the Kingdom’ we remind ourselves that we are not in control, we are willingly choosing to submit our lives to the ‘King’. This would be worrying if we saw God as a despot, but if we understand God to be compassionate, steadfast, faithful and entirely loving then our only response is to learn to trust. All around us magazines, programmes, diets and songs tell us in as many words that we are ‘to search for the hero inside yourself’. Most of us, if we are honest, know that our inner hero is flawed. This prayer reminds me that God’s is the power, I do not need to have all the resources, in fact it is very important to remember that I don’t otherwise I will never learn to rely. 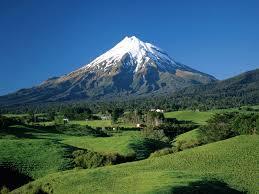 This is the mountain that says ‘I’d like people to notice how brilliant I am’. The driving force that pushes us up this mountain is our our need or desire to have people think well of us: that we make it look easy, that we float several feet off the ground, that we should somehow get the credit for things going well. 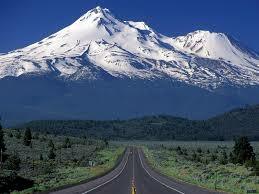 Perhaps this is the most enticing mountain, but it’s also the most dangerous. We have all seen how ‘celebrity status’ has unbalanced the ordinary people who have either climbed this mountain or found themselves unceremoniously plonked on top of it for no very great achievement of their own. To pray ‘Yours Lord is the glory’ is to say ‘You get the credit God’, only you are ultimately worthy of worship and adoration. Actually it doesn’t matter what other people think of me. Help me not to even sneak around the foothills of this mountain (maybe that was why when the law was given on Mt Sinai, the people were told they mustn’t come anywhere near the mountain – it was so full of the glory and presence of God?). 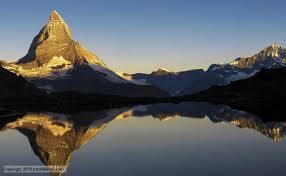 In response to this mountain I must learn to stare in awe and wonder, to get myself in perspective and learn to worship. And just in case we think the ban on mountain climbing might one day be lifted we end the prayer ‘For ever and ever, Amen’. This might be called the ‘power of eternity’, a catchy phrase invented by my elderly mother who was trying to explain that we, her three children, had something called the ‘power of attorney’ over her: the right to make decisions on her behalf, ideally decisions that are in her best interests. God doesn’t have the power of attorney, he has the ‘power of eternity’. He is king, he has the power and he does take the credit both now and forever.